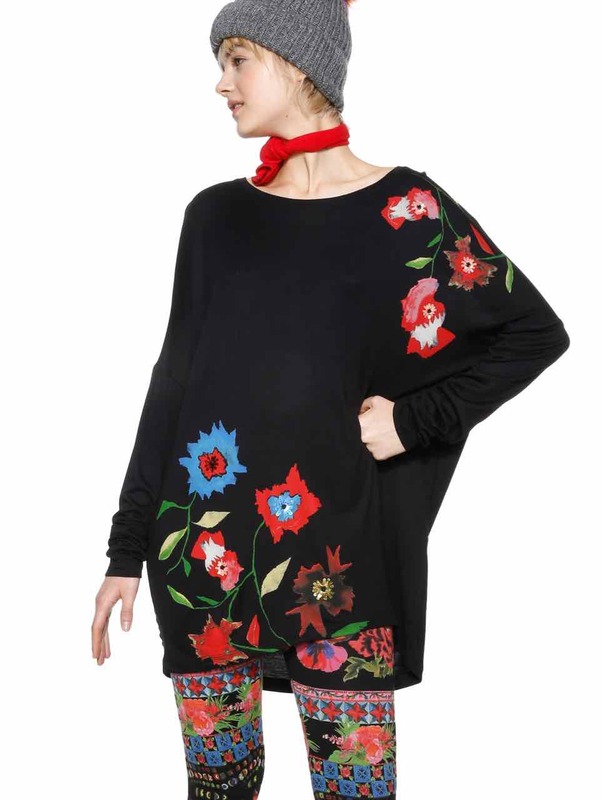 Desigual T-Shirt “Amsterdam” – stunning long black top with floral design with sequins detailing, oversize fit, long sleeves. Gorgeous style in 100% Desigual DNA, wow. Style # 18WWTK97Tops. T-Shirts. Tunics.